Be Known for Something : Discover Your Church Communication Thread / Business Essentials / What Languages Do Your Team Members Speak? 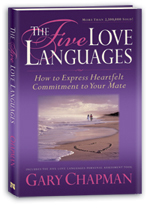 Hopefully you’ve read the Gary Chapman book, 5 Love Languages. It’s one of those books that should be taught to all students in college.It would help in all relationship issues including the business world! I don’t think that people realize how differently people respond to different stimuli. Especially in companies. The premise of the book is: Everyone falls within 5 groups of people when it comes to the way we express our love; or respond to people’s demonstration of love. Love? The Workplace? Those don’t really go together except in inter-office affairs, right? Well, I believe that as employers, and as people who work in team environments, we need to know how to make someone feel loved. Loved, as in appreciated, honored, valued and wanted. Words of Affirmation – verbal affirmation and encouragement are critical to these people! Don’t just say nice things for the sake of saying them, but truly mean them. Someone in this category can detect authenticity very quickly. Personal Touch/Closeness – ok, don’t think of this as sexual. Think a handshake, a pat on the back, a kind punch in the shoulder. Of course, be mindful of harassment and HR policies that may keep this to a handshake. Quality Time – the number one reason people leave their jobs is because their boss doesn’t spend enough quality time with them. Keep in mind what “quality” means in your business. Self-revelation is critical in this language. Receiving Gifts – Everyone enjoys bonuses and extra cash. But these people enjoy getting a note, or a small gift from time to time. Be sure to be fair with all employees when you give the gifts! Just realize some will enjoy them more than others. Acts of Service – “How can I help you today” is a sure fire way to demonstrate this language. Helping, assisting, and doing appropriate things for people on the team is critical but only when they feel that it’s not out of obligation! If you figure out how the people on your team respond to each of these, it will make you understand them better and help you with honoring them. So, what is your language? What about everyone on your team or on your supplier or client list… it’ll be fun to figure it out!